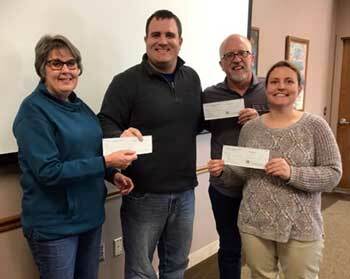 Check presentation, from left, Kathy Lincoln, ECAT, Patrick Gardner, Chamber vice president, Jeff King, Warmth Fund, and Kenna Burns, ECKAN. 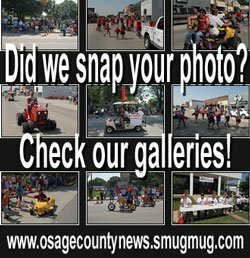 Funds raised during the 2017 Osage City Christmas on Market Street event were divided between the Chamber of Commerce and three local organizations. Disbursements were awarded during the January members’ meeting to Kathy Lincoln, Ecumenical Christian Action Team, Kenna Burns, East Central Kansas Economic Opportunity Corporation, and Jeff King, Osage City Warmth Fund. Anyone who won a Chamber Buck during the Christmas on Market event, Home Town Santa or received one as a gift, please reimburse it at either the store designated on the Chamber Buck or at any local business of your choice as soon as possible. For more information, contact Jeanette Swarts at 785-249-5451. Mark your calendar for the annual community firework show, which will be held on July 1, 2018. The Chamber committee is working on plans that will include a day of activities for families to enjoy. 2017 membership reached a total of 70 members. Chamber Executive Director Jeanette Swarts would like to see the memberships surpass 2017 and also the attendance grow at the member meetings. Member meetings are held at noon on the third Tuesday of each month, at Flint Hills Beverage’s hospitality room. A light lunch is always provided and generally meetings last approximately an hour. 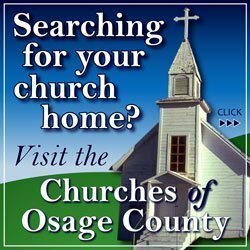 The Chamber of Commerce needs the support of the members to make Osage City a better community. The membership drive is on its way to a promising year for 2018 members. The drive is continuing and if you have not yet joined, please consider the opportunities to grow your business and connect with the community and send in your membership now. We would also like to encourage existing members to invite potential new members. For more information about becoming a member, email [email protected], or call 785-219-2510. We welcome all members’ suggestions and comments, and appreciate your confidence and support in the Chamber and our programs. Thank you for your investment as we work together to put business in motion. President, Don Shaw, vice president, Patrick Gardner, secretary, Diane Michael; treasurer, Jan Ogleby. 2018 directors: Jodi Smith, Kathy Ayers, Barb Pope, Jeff Pearson; executive director, Jeanette Swarts. 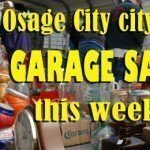 For more information, contact the Osage City Chamber of Commerce at [email protected], 785-219-2510, or PO Box 56, Osage City, KS 66523.